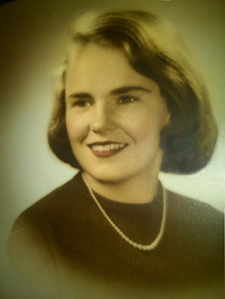 Professor Joanne Altieri, born in 1940, died this past summer on July 18. She grew up in Upton, MA, received her B.A. from Boston University and her Ph.D. from the University of North Carolina, and came to the Department of English in 1977. Here she taught courses in sixteenth- and seventeenth-century literature, published studies of Shakespeare, Jacobean drama, and poetry, and served on the board and as acting editor of Modern Language Quarterly . She was married to Professor Charles Altieri from 1966 to 1990 and leaves behind their daughter Laura and son Phil. After she became ill from multiple sclerosis, she carried on her life with spirit and determination. She learned to drive, at age 50, with the help of her colleague Nikolai Popov, had hand controls installed in the car when she could not control the pedals, negotiated the campus in an electric wheelchair, and when the disease made teaching on campus impossible, taught students through University Extension.